New York Times bestselling author and artist James Dean brings readers along for a fun, surprising, snowy adventure with Pete the Cat! In Pete the Cat: Snow Daze, school is canceled, and Pete cannot wait to play in the snow with all his friends. 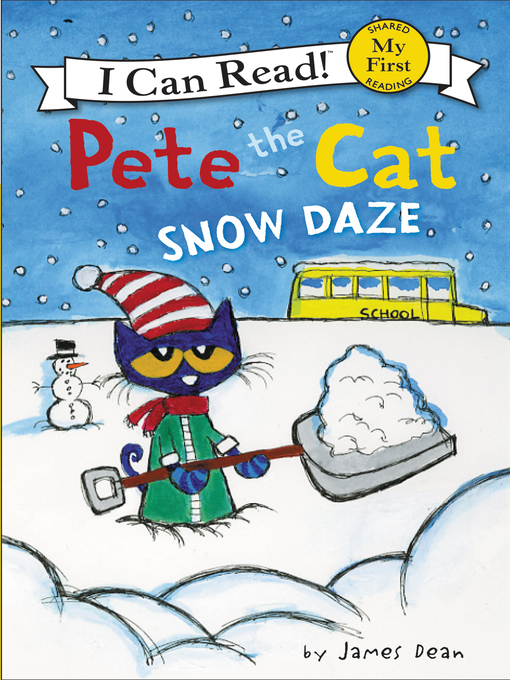 Imagine a day filled with snowball fights, hot chocolate, snowcats, and more.But when the next day and the day after that are all snow days, Pete comes to a sudden realization—it is possible to have too many snow days.Pete the Cat: Snow Daze is a My First I Can Read book, which means it's perfect for shared reading with a child.